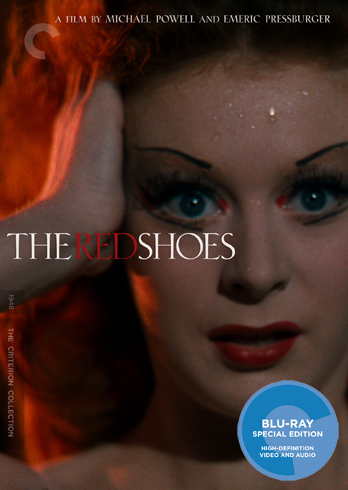 Collecting and appreciating the Criterion label and the hundreds of works of art it represents is something that a fair amount of film lovers do. Many people do it indirectly, often in the auspices of generating a healthy disc collection that include many other labels on the shelf. Collecting all of the titles in the Criterion Canon can get you disinvited from a lot of parties that normal people go to. You can also get a lot of blank stares from family and friends, as well as a generous dollop of derision from film lovers on the Internet who mistakenly castigate you for being a collector above film appreciation. Being a Completionist will always be a marriage of two things: love of quality film and the strong desire to collect something. As with any marriage, there are things that you need to come to terms with and accept. A Completionist deals with disparities all the time. So how does one classify and/or become a Completionist? While I’d like to draw a line in the sand and say you must have every edition of every disc of every format to be sanctioned, that would disqualify me and I’d have to hand this blog over to some other Obsessive Compulsive. Over on my Facebook Group, we’ve come up with a few definitions for varying levels of Completionists. Obviously you can draw Venn diagrams all through this stuff and find yourself in various groupings, if you’re into that sort of thing. The connoisseur is very aware of the Criterion Collection and loves many of the movies and what the label stands for. In the good old days of 2012 and prior, this person rented a lot of CC discs from Netflix and the like, typically keeping them long enough to watch the movie, listen to the commentary, and plow through the supplements before tossing the disc back in the post. In 2015 the connoisseur is still alive and seeking titles. However, the best bet for this is going to be Hulu. Great movies but very few supplements. That last statement is still the best argument for physical media I will ever hear. Hundreds of films for 8 bucks a month. Some discs are not represented, but there are hundreds more that aren’t on disc to more than make up for that. The connoisseur collects films alright, but only in his or her head (or maybe on a spreadsheet). This is where things start to get interesting, and spendy, and sorta weird, and really quite wonderful. Laser Disc – This collector has a closet in the basement full of these 12″ discs from CC’s first golden period of 1984-1998. Anywhere from 1 disc to 300+ just itching to be played one more time. Bonus points for them all being in mylar sleeves. DVD – This collector got in during the heady decade of the format. Dozens if not hundreds of these discs still sit on the media shelves. Typically mixed in with all the other non-CC discs, but definite bonus points for spine number adherence. Blu-ray– The truly modern collector. Many people consider themselves Criterion Complete from a Blu standpoint exclusively. I like these people. They find a manageable subset and make it happen. Fulfills a collecting bug while having some really amazing art at their constant disposal. Every Last Edition of Every Disc of Every Format – I’m not sure I’ve ever met one of these. This involves a level of focus, intensity, and cash reserves that cannot have the best ROI from any measure. This means you have every laser disc (CLV AND CAV), every DVD and its Blu equivalent or upgrade, every title from the ESSENTIAL ART HOUSE line, every Merchant Ivory Collection disc, the Criterion Television line, the flippin’ VHS TAPES for Pete’s sake, the Janus 50 films book/set (even though you have most of them already), the Kurosawa box (even though you have most of them already), and maybe even the Voyager and HVe discs for good measure. If this is you please, please comment below, I want to know you and pick your brain. I’m still about 100 laser discs away from this style of Criterion Completion, but until then, I fit all sorts of categories above. Where are you at? Comment below and let me know. I bet there are other definitions that I haven’t even thought of. I’d love to add to the categories over time.